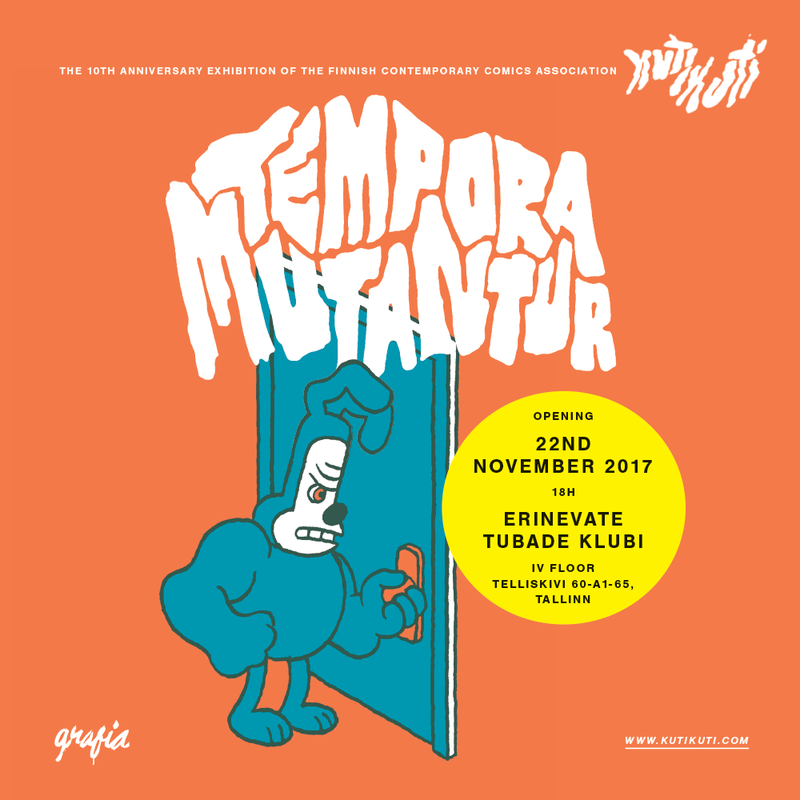 The Tempora mutantur anniversary exhibition showcases the recent comics by the current members of the Finnish contemporary comic association Kutikuti. The works have been created specifically for the anniversary exhibition in years 2015 – 2017 using a screen printing technique. The colorful combination of large comics reflects the diverse styles and narrative methods of Finnish comics. Kutikuti was established in Helsinki in 2005. Over the years Kutikuti has grown from an artistic collective into an association, but it has always been a pioneer of contemporary Finnish comics. Kutikuti’s aim is to promote the status of new and high-quality Finnish comics in Finland and abroad. The association currently has 57 comic artists as members. Kutikuti is one of the internationally best-known phenomena in the Finnish comic scene. The exhibition in Tallinn is supported by Grafia. Opening: Wednesday, November 22 at 18.00 in Erinevate Tubade Klubi, Telliskivi 60A1 IV floor. The opening is followed by a short film screening. NB! Erinevate Tubade Klubi is closed on Friday 24.